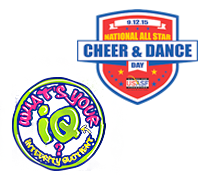 Required for all athletes competing or performing for a US based All Star Cheer or Dance Program, including athletes on Novice, Prep Teams, Show or Exhibition Teams (including Parent Teams). Athlete Membership Fees, once paid to the USASF, are NON-refundable and NON-transferable. This means the funds may not be applied to a different athlete. Once the membership has been paid for a specific athlete, the membership belongs to that athlete only and may not be transferred to anyone else. Accept Terms & Conditions of Membership: Athlete members are bound by the terms and conditions of membership outlined in our Professional Responsibility Code. Proof of Age: An image of the original birth certificate or other government issued identification that includes the correct date of birth is required to be uploaded in the athlete profile. This can be done by the program owner or individual parent. Note: The uploaded image will be reviewed and the date of birth will be verified and confirmed by USASF staff. For your protection, the image will be removed from our system files. Confirmation of date of birth can take several months during the registration period. Proof of Identity: A current photo will need to be uploaded by parent or program owner. Provide True and Correct Information: Any athlete found to have provided an incorrect birth date and/or supporting documentation that has been falsified or altered in any manner, may be subject to disciplinary action, including but not limited to restriction of membership and eligibility. Any athlete who has taken the floor with a team, in any level, from his/her Primary Program during the Worlds competition season (November 1 – May 1) will have to have a USASF Program Release Waiver signed by the owner of that Primary Program before that athlete is eligible to compete with another Program (Secondary Program) at the current season's The Cheerleading Worlds or The Dance Worlds. The USASF Gym Release Waiver is located on the www.USASF.net website. If you participated in All Star cheer and/or dance last season. You already have a profile created and do not need to create a new profile. If you do not know your User Name and Email associated with your profile, request assistance to recover this information. If the athlete has never participated in All Star Cheer or Dance before, they will join as a new member. Parents or guardians of minor athletes will join on behalf of the athlete and manage the athlete or multiple athlete profiles. Membership is managed through a profile in our member management system. Once created, the athlete will use the same profile for each subsequent membership year.